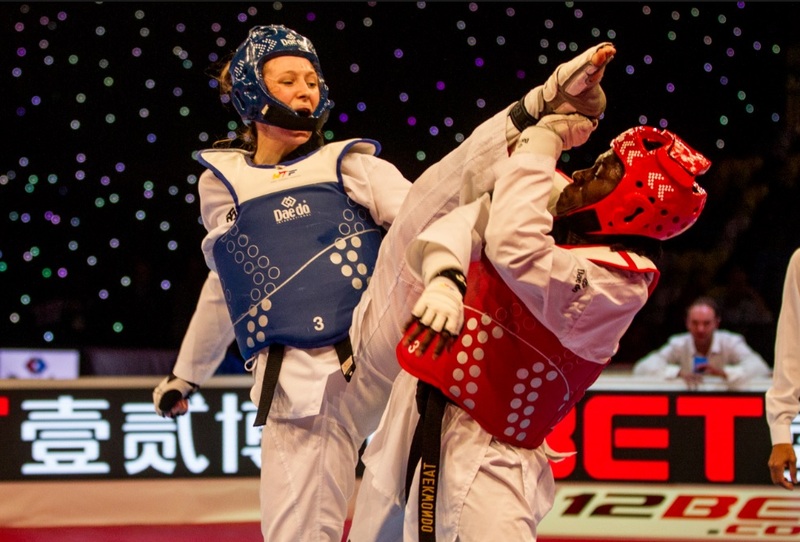 Lauren Williams has proved no respecter of reputations ever since becoming a full-fledged member of the GB Taekwondo squad. That’s why the fearless Welsh-born fighter will be going for gold in the World Taekwondo World Grand Prix series final in the United Arab Emirates. The double senior European champion, still only 19, is one of seven British competitors competing on the opening date of the competition in Fujairah. She’s already won three Grand Prix medals in 2018, including gold at the Manchester leg of the series last month. “The transition from junior to senior wasn’t easy but hopefully I can keep moving forward and get that top spot one day,” said Williams. “It’s great to be able to perform alongside some of the best in the sports. “I am fortunate enough to be picking up medals at these events which shows I am not too far off the best. “And anyone coming into the Academy I’d just say ‘don’t be afraid to take risks and step outside your comfort zone. “Training has gone well and we have just enjoyed a week-long training camp in Croatia. “We had good training partners, good sparring sessions and I feel I am ready,” added Williams who has also been selected for the World Grand Slam series. Yorkshire fighter Bradly Sinden has been ‘Mr Consistent’ on the Grand Prix series this year, winning one silver medal and two bronze medals. The 20-year-old said: “My key aim is to consistently bring home gold. “Coming into the Academy two years ago, I wouldn’t have expected to be where I am at the moment: picking up Grand Prix medals consistently and bringing home bronzes from the World and European Championships. Sinden is joined at -68kg by 2018 European gold medallist Christian McNeish and double World Championship medallist, Damon Sansum while Mahama Cho, a 2017 World Championship silver medallist, completes the male team. Double Olympic champion, Jade Jones, chases a third Grand Prix gold medal after successes in Rome and Manchester. And Bianca Walkden, last year’s overall heavyweight Grand Prix champion, aims for her first GP gold of 2018 at +67kg. Watch the action unfold live here.